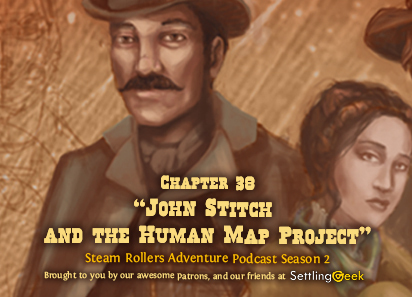 Ep.101 Ch.38 "John Stitch and the Human Map Project"
Ep. 100 Chapt. 37 Lore. 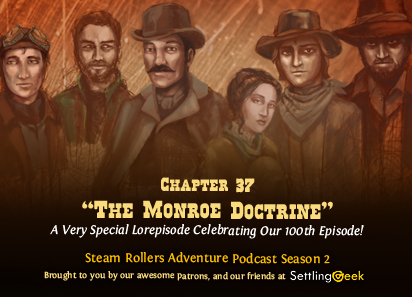 03 "The Monroe Doctrine"
Ep. 99 Chapt. 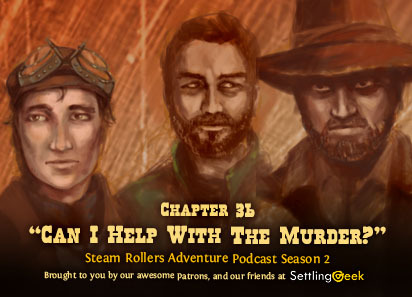 36 "Can I Help With The Murder?" 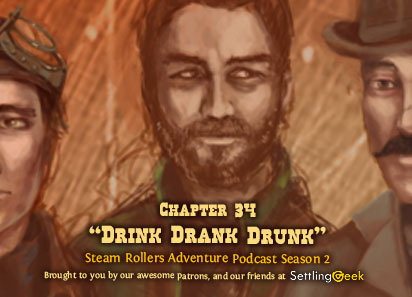 Oliver Glass confronts Wild Ben Westman as Silas Monroe has a run-in with Free Texas Alliance terrorist Siren Zorma, as the luxury airship Maria lazily floats toward the Great Wall of Texas. Meanwhile, Eugene “Sonny” Geffort has plans to get drunk and high. Ep. 98 Chapt. 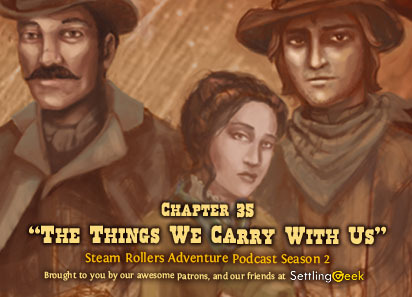 35 "The Things We Carry With Us"
Before heading as far away from the Bruner ranch as they can, Connie and Percy let Nigel in on the secret of the glass artifacts they found. Perhaps a cogman will be able to decipher their purpose or origin. Ep. 97 Chapt. 34 "Drink Drank Drunk"